A body was found in Overland Park, Kansas, on Tuesday night—now police are investigating whether it’s missing 18-year-old woman Mikayla L. Norris. Earlier on Tuesday, Dec. 19, the Overland Park Police department posted an urgent news release asking for the public’s help in locating Norris. Kansas City police said they were contacted by Overland Park authorities on Tuesday, 6:30 p.m, regarding a tip on the whereabouts of Norris’s body. The tip said the body could be found at the 8300 block of Hillcrest Road, according to ABC affiliate KMBC. Police later did find a body of a woman at the 8500 block near the location mentioned in the tipoff. The body was found in a wooded area. Authorities also said the description of the body matches Norris but—as of writing—the identification has not been fully confirmed yet. A male person of interest was seen earlier in Gladstone, he was driving the woman’s vehicle—a 2007 black four-door Toyota Camry. According to KMBC, a man who matched that same description was found dead around 10 p.m on Tuesday. 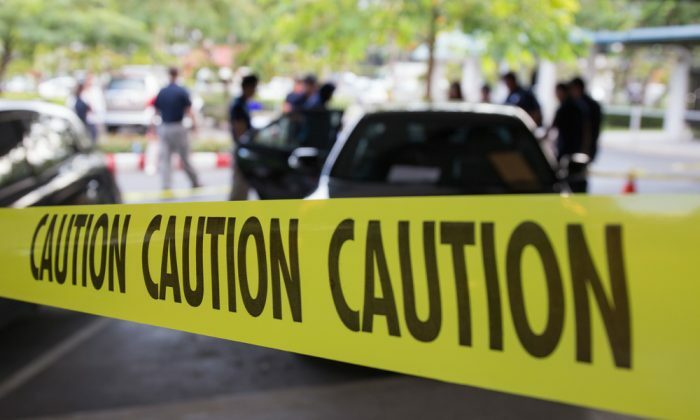 The man’s body—who has not been fully identified as of writing—was found behind Academy Sports on South Stewart Road in Liberty. According to the Kansas City Police Department, the man seemed to have died from a self-inflicted gunshot wound. Authorities are now investigating whether the two deaths are a possible murder-suicide, KMBC reports. On Tuesday another woman DaVona DeeDee Kirkwood, claimed that the person of interest was named Kareem McCoy-Lee. She said that the man was armed and dangerous and attempted to kill her daughter. Photos posted by Kirkwood show a screenshot of Lee’s Facebook profile—which has since been deleted— where he ranted about how he murdered a caucasian girl. The photos of Lee match the ones posted by police.